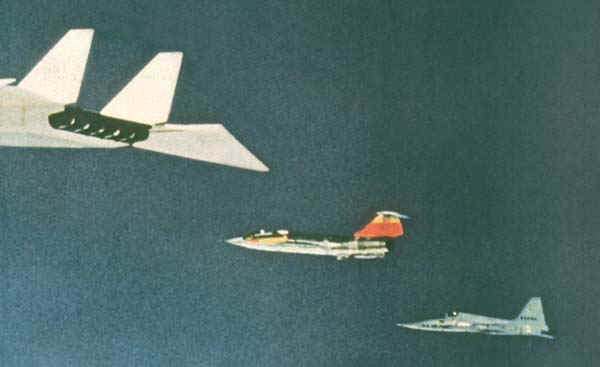 Just moments before the fatal accident, the F-104N as tucked neatly in formation off the right wing of the XB-70 and a YF-5A to its right. The very same YF-5A in the photo is now in the Air Force Museum - Click here to see it. At 9:26 a.m., just after the end of the photo session the Lockheed/NASA F-104N collided with the trailing edge of the of the XB-70A-2's right wing. The F-104 rolled up and left across the back of the Valkyrie, shearing off about 50% of the right vertical stabilizer and nearly 100% of the left vertical stabilizer. 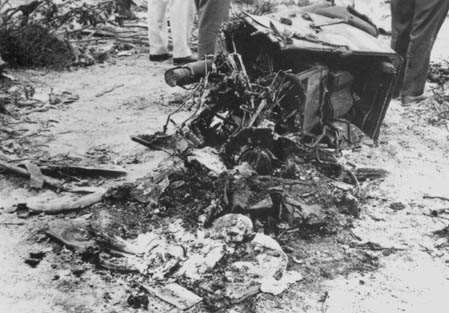 The F-104 continued to roll to the left in flames and was totally destroyed. 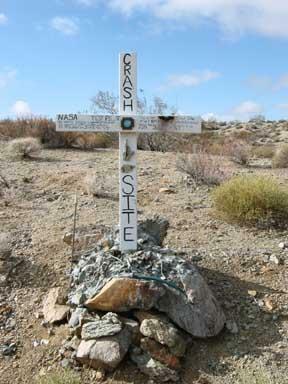 The pilot of the F-104, NASA chief test pilot Joseph Walker, was killed instantly in the midair collision. It's probable that Walker flew his F-104 too close to the XB-70A and got caught in the right wingtip vortex (air corkscrewing off the outboard edge of the wing). The vortex generated by the XB-70 was powerful enough to violently flip the F-104 to the left. The pilot of the F-104N, Joseph A. Walker, was a veteran of several test projects at Edwards, including the X-1, X-1E, D-558-I, D-558-II, X-3, X-4, X-5, F-101, F-102, F-104, and B-47 programs. 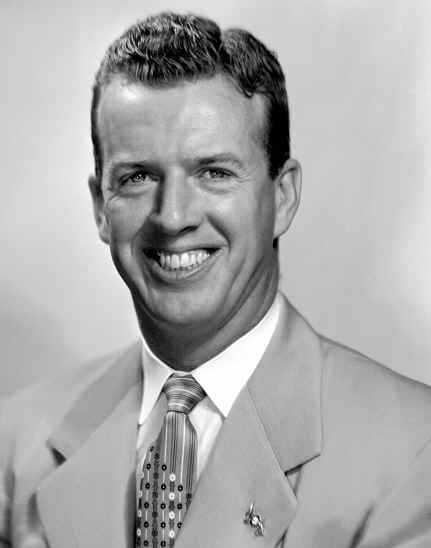 Walker made the first NASA flight on the North American X-15 on March 25, 1960. His 25th and final X-15 flight on August 22, 1963, reached 354,200 feet, an unofficial record altitude of almost 67 miles. On October 30, 1964, Walker took the first Bell Lunar Landing Research Vehicle (LLRV) on its maiden flight, reaching a peak altitude of 10 feet and a free flight time of just under one minute. 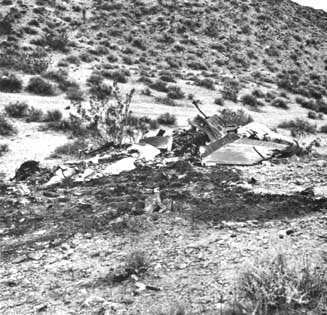 The crash and later demise of the the XB-70 program overshadowed the fact that two aircraft crashed on that fatal day. As the crippled XB-70 began its final moments, it was already all over for Walker inside his F-104N. The aircraft broke into two sections to land about 200 yards apart from each other some 2 1/2 miles from the crash site of the XB-70. 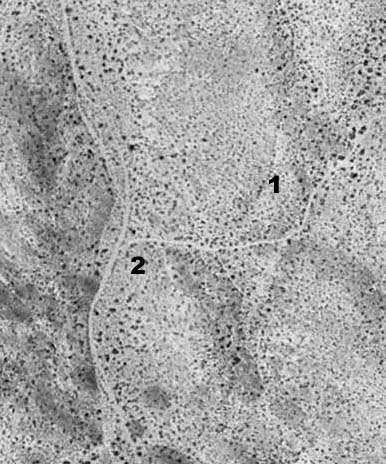 To the right is an aerial view of where the fuselage landed. 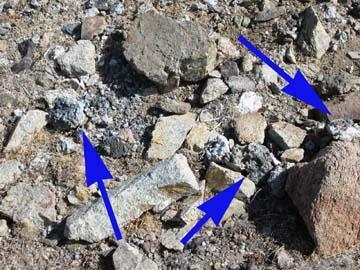 The photo below that is a ground level view of the same site. These are the remaining parts of the F-104N that found and were not destroyed by fire. 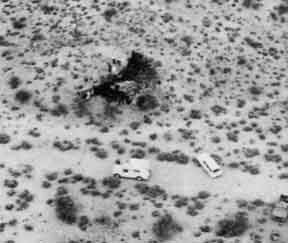 Above is wreckage of the cockpit. The cockpit landed on top of a ridge marked by #1. The fuselage landed about 200 yards away marked #2. A top a small hill, a cross now marks the spot where the cockpit came down. 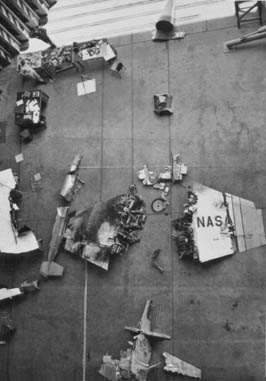 On the ground are remnants of the cockpit. A view of the hilltop where the cockpit came to rest looking to the northwest. Bits and pieces of the cockpit can be found scattered atop the hill. A lot of it seems to be pieces of Plexiglas. 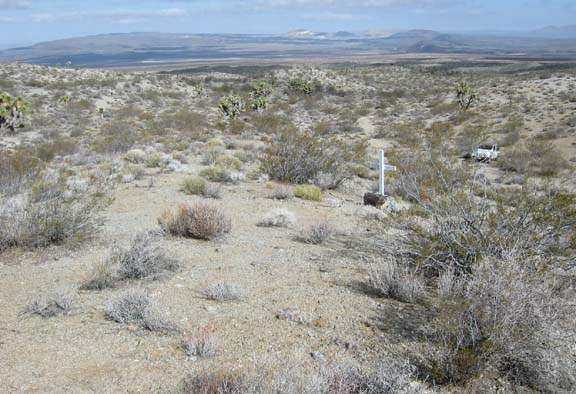 Below is a view of the crash site looking to the southwest. The fuselage landed on the slope in the middle of the photo.